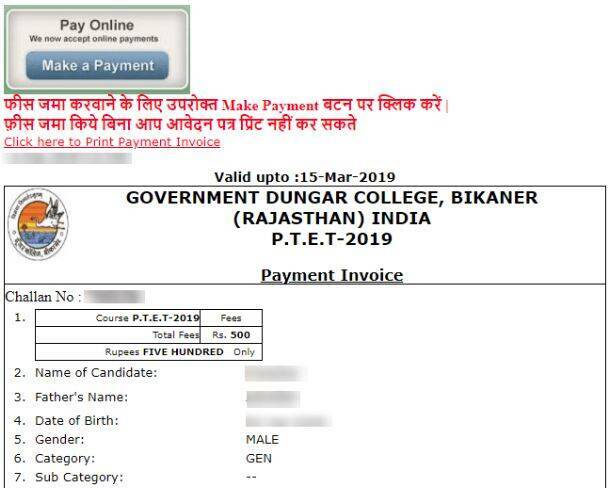 Government Dungar College is conducting Rajasthan Pre Teacher Education Test (PTET) 2019 and Rajasthan Pre BA-BEd / BSc-BEd Test 2019. The last date to pay the application fee for both the exams is March 15, 2019, and the last date to apply at ptet2019.org is March 18, 2019. Online application form filling commenced on February 14, 2019. In order to apply, candidates must visit ptet2019.org. Graduate candidates interested in pursuing B.Ed have to fill the PTET 2019 application form. 10+2 Students who wish to study integrated course have to fill pre BA BEd / BSc BEd form. Eligibility criteria for PTET 2019 is to be a graduate with at least 50% marks, or 45% in case of SC, ST, OBC, and other reserved categories. By the same token, eligibility criteria for Pre BA BEd / BSc BEd 2019 is to pass 10+2 with minimum 50% marks or 45% for reserved category candidates. The application fee is Rs 500 for all candidates. This amount can be paid via credit card, debit card, net banking, e-mitra. Candidates will observe different sections on the website. 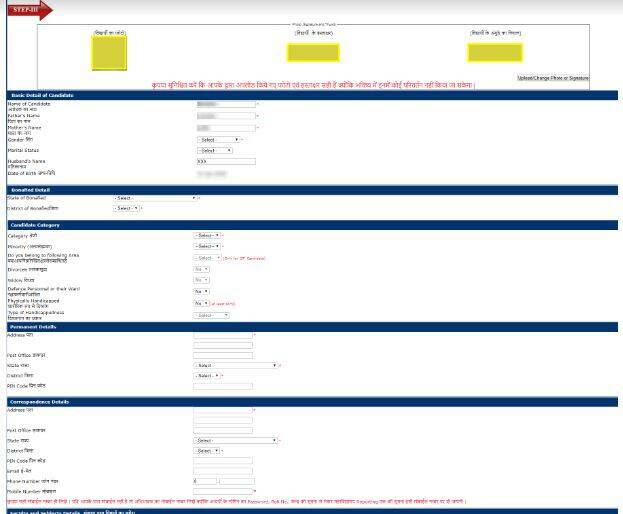 The section titled “P.T.E.T – 2019” is for PTET, below which there are links with names Fill Application Form, Check Challan Status, Re-Print Application Form. If you click the first link here you land on PTET Registration. Likewise, if you click the first link on “B.A. B.Ed./B.Sc. B.Ed.- 2019” titled section you can fill its form. Keep form number and date of birth data secure as they can be used later to download the form. Step 1 – Fill the name of the candidate, father’s name, date of birth, payment option. Step 2 – Enter the mother’s name. Then upload passport size photograph up to 100 kb, signature done in black marker pen up to 50kb, left-hand thumb impression done by black ink pad up to 100 kb. Step 3 – Enter further basic details asked in the form. Also enter the state, district, category, address, educational details. Then select choices up to 3 examination districts. Step 4 – Pay fee. Step 5 – Take a printout of application form. Keep form number, challan number safely as one or more of these credentials will be required to download PTET / Pre BA BEd BSc BEd Admit Card. Candidates can contact the office of the exam conducting body on all working days from 4:30 PM to 8 PM. On holidays, the authorities can be contacted from 11 AM to 4 PM. Rajasthan PTET 2019 is accepted by various colleges and universities for admission to B.Ed programmes. Whereas Pre BA BEd / B.Sc BEd 2019 will be used for admission to 4-year integrated B.Ed programmes as the name suggests. Admission to these courses shall be on basis of PTET and Pre BA BEd / B.Sc BEd result subject to fulfillment of eligibility criteria.